The Andrew and Phyllis D’Arrigo Charitable Foundation is devoted to public and charitable causes serving the residents of the City of Salinas and Salinas Valley. Andrew (Andy) and Phyllis D’Arrigo have been true partners since their wedding day on June 22, 1947. Their commitment to each other and their family while Andy worked tirelessly to build the company founded in 1920 by his father, Stefano (Stephen), and uncle, Andrea (Andrew), both teenaged immigrants to the United States from Messina, Sicily is a testament to their individual and combined strength. Andy and Phyllis have seen the company grow from farming its first 28 acres in San Jose to over 35,000 acres today in two states growing, harvesting, shipping and selling a variety of lettuces, broccoli, cauliflower, specialty vegetables, broccoli rabe and sweet anise (fennel), cactus pears, and growing grapes for wine. The Andy Boy label that D’Arrigo markets and ships its products under features a photograph of Andy when he was two and a half years old. This label is one of the most recognizable in the produce industry. D’Arrigo Bros. Co., of California boasts third generation family management at the helm of the operations with fourth generation family members working in various positions within the company. The company celebrated its 95th anniversary in 2015. As parents of six adopted children Andy and Phyllis instilled in their family a sense of responsibility and duty and taught by example. Each child was encouraged to ‘give back’ to the community they called home whether through fund raising efforts, volunteering their time, or helping out. To this day the D’Arrigo children continue to support local philanthropic organizations and have instilled these same values into their own children carrying on the D’Arrigo legacy. Entering their 9th decade Andy and Phyllis continue to be tireless in their commitment to the Salinas Valley. Their philanthropic generosity has provided funding for the agricultural and agricultural research community, various local non-profit organizations that favor at risk youth, children and families in need of sustainability, children’s educational programs, programs that help farmworkers and their families have access to medical treatment, in short, organizations that support helping others to help themselves. Andy and Phyllis believe that every individual should have the opportunity and access to programs that build their self-confidence and help regain or retain their dignity. In return for the opportunity the Salinas Valley community gave, and continues to give to them and their family, Andy and Phyllis find great satisfaction in giving back to this community. 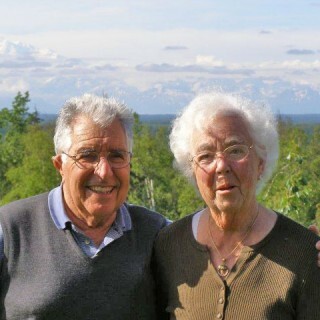 Although their philanthropic, generous, and humble spirit has resulted in recognition throughout the community, The Andrew and Phyllis D’Arrigo Charitable Foundation is a result of Andy and Phyllis remaining firm advocates for local concerns and allows them to continue their work in perpetuity. Copyright © 2019 Andrew and Phyllis D’Arrigo Charitable Foundation. All rights reserved. Site by TMD.